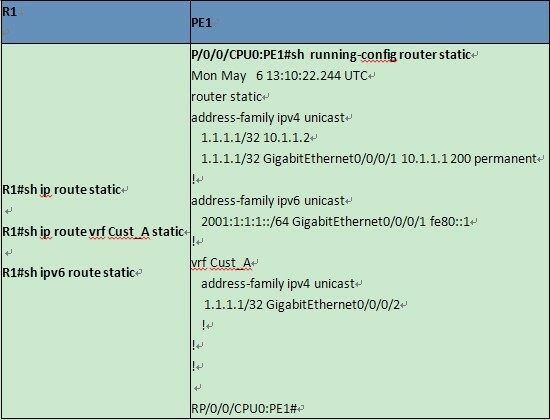 In this article we will list the main comparison of basic Static route configuration between Cisco IOS and Cisco IOS XR. 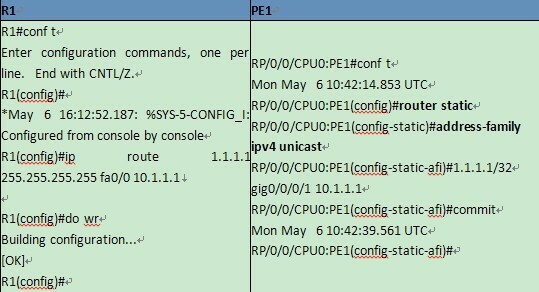 In this example we have R1 running Cisco IOS and PE1 IOS XR. In IOS XR static route is configure under router subsection called “router static”. Static route can point to a next-hop interface, next-hop IP address, or both. In this example we have pointed to both next-hop IP address as well to interface. You can also specify Static route for VRF instance. The VRF can be the default VRF or a specified VRF. Specifying a VRF, using the vrf vrf-name command, allow you to enter VRF configuration mode for a specific VRF where you can configure a static route. 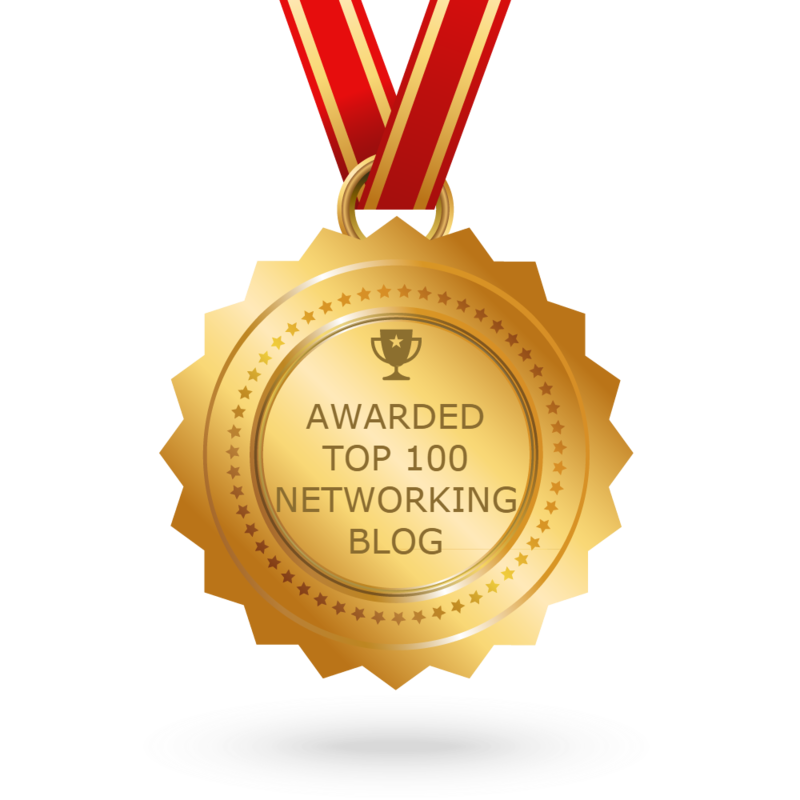 If a VRF is not specified, a default VRF static route is configured. 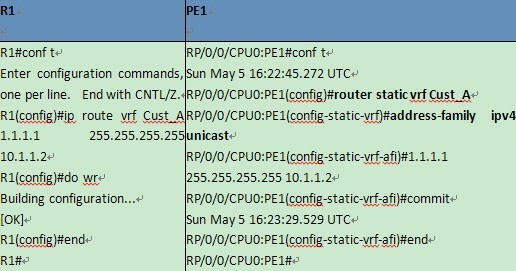 You can verify your static route configuration there is only single command you can use to verify IPv4/IPv6 and specific VRF route as shown below.